The U.S. has turned back its first asylum seeker from the southern border, as part of the Trump administration’s new policy requiring people to wait in Mexico for their cases to work their way through immigration courts, the Department of Homeland Security said Tuesday. Immigration advocates have vowed to challenge the policy in court. The person seeking asylum was turned back to Tijuana at the San Ysidro Port of Entry in San Diego, according to Homeland Security spokeswoman Katie Waldman, who added it’s likely more will follow. The program will eventually expand across the entire southern border, she said, but U.S. officials first wanted to ensure it had the proper guidance and training in place before the policy was implemented. “We are trying to get it right the first time,” she said. 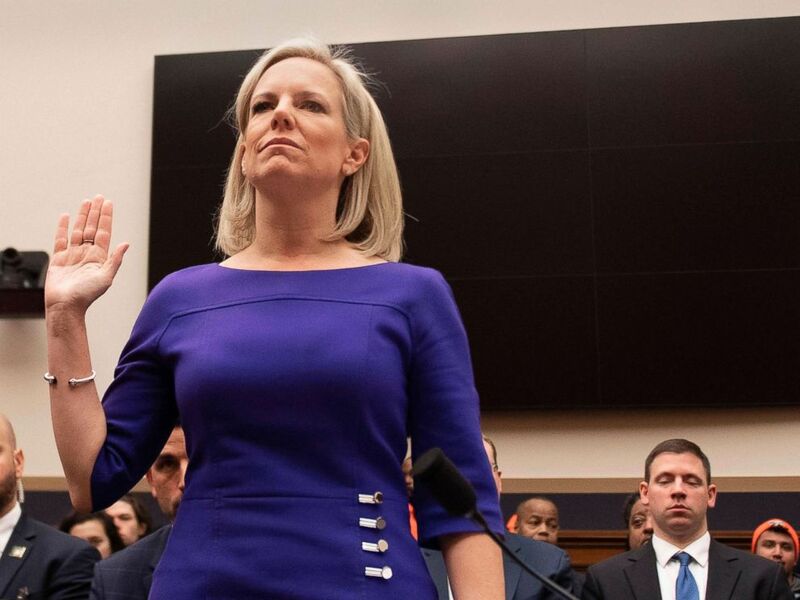 Secretary of Homeland Security Kirstjen Nielsen is sworn in ahead of her testimony to the Judiciary Committee on “Homeland Security Oversight” in Washington, D.C., Dec. 20, 2018. The development came on the same day Homeland Security Secretary Kirstjen Nielsen visited the San Diego border crossing. Nielsen announced the new approach in a congressional hearing on Dec. 20. Under the new plan, adults from countries other than Mexico who are claiming asylum will not be allowed to wait inside the U.S. while their cases wind their way through immigration courts, a process that can take months or years. The approach breaks with longstanding U.S. policy that allows people who claim asylum to wait inside the U.S. The law requires that the administration give asylum seekers full and fair access to U.S. immigration courts, and forcing people to wait in Mexico presents legal challenges and hinges on Mexico’s cooperation. Waldman refuted media reports that Mexico won’t allow the U.S. to extend the policy beyond a single border crossing. She declined to offer details on when the new policy would be implemented across the entire southern border.